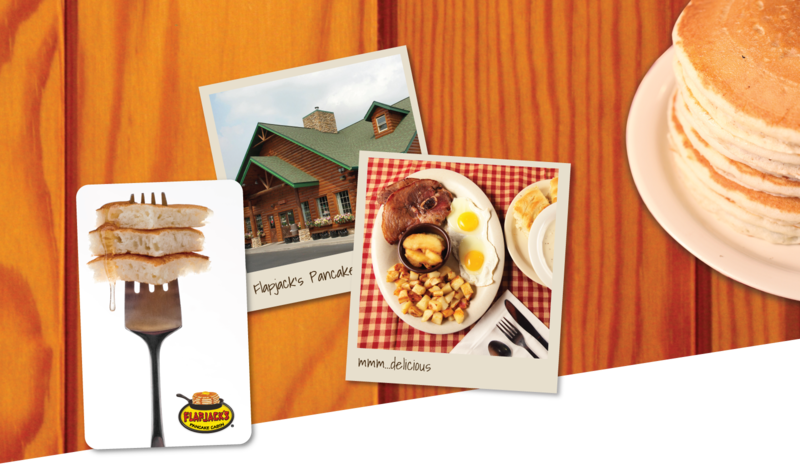 Flapjack’s Pancake Cabin® offers rewards for each purchase. Start today by texting FLAPJACKS to 87573 or sign up at any of our locations. Be part of the group and earn rewards with each purchase you make. Ask us about it on your next visit! Flapjack’s Pancake Cabin® Gift Cards can be redeemed at any Collier Restaurant Group associated restaurant and are available at any specified amount. Call our offices at 865-774-8004 M-F from 9am-5pm. We would be happy to assist with your order.